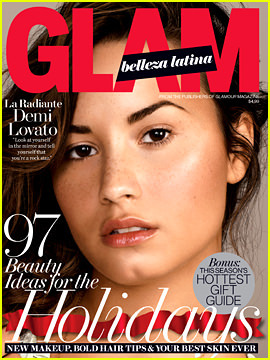 Lovato appears on the cover of the Holiday 2014 issue of Glam Belleza Latina magazine. She talks about how social media effects her, advocating for mental health, and inner beauty. [You] can be the most beautiful woman in the world and see yourself as hideous. You must love yourself. To look in the mirror and tell yourself that you’re a rock star, you know?